A. Lawrence Smart made this CGDAE instrument for Mike Marshall. He played it for me over the phone, and it sounds amazing. 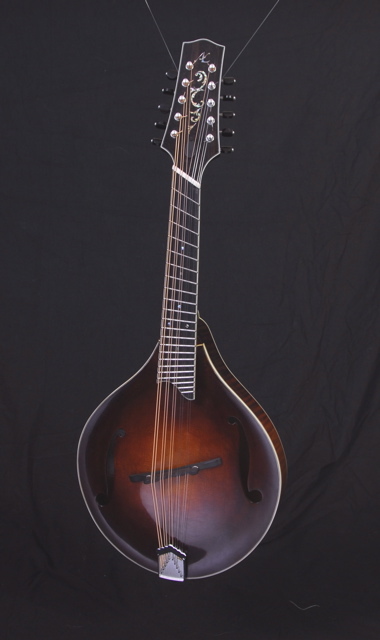 I was daydreaming about this kind of instrument and emailed Mike about it, and it turned out that the finishing touches were just being put on it. 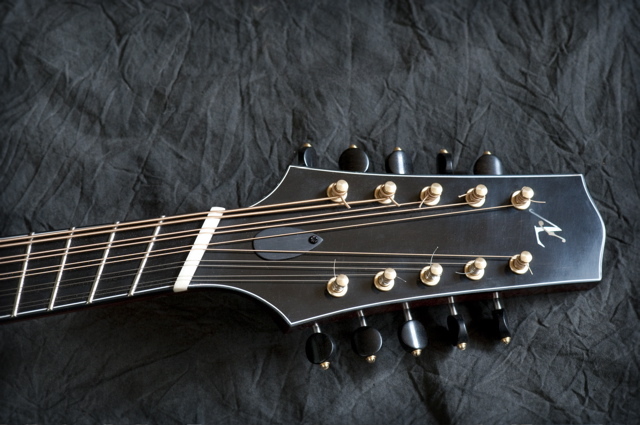 Mike says the fanned frets are quite comfortable, and that he's really happy with it. 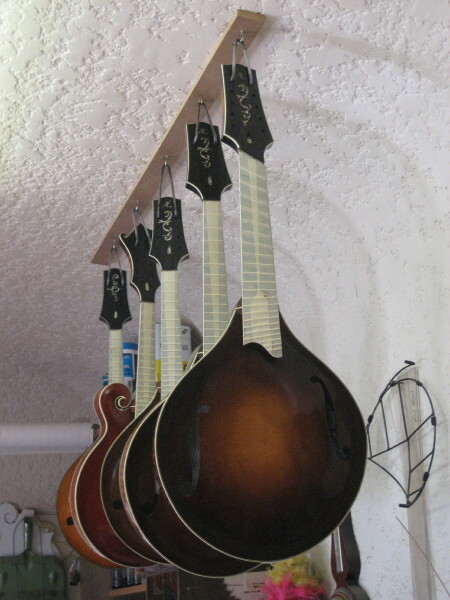 I put in an order myself...I always hear lines (and especially chords) going lower than the mando range. This should be a lovely instrument for all kinds of playing, particularly jazz. I had a chance to connect with Mike and play this puppy for awhile last weekend. 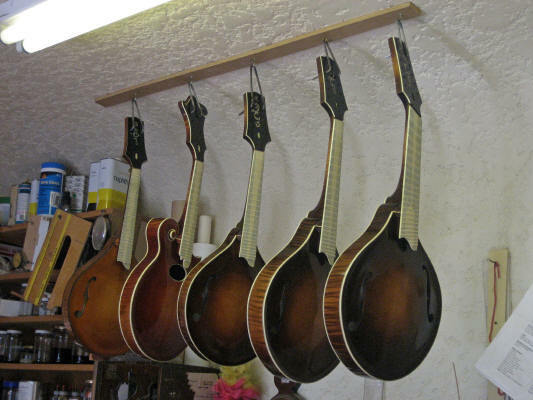 It is a very neat instrument; after a few minutes you get used to the fanned frets, and then it's a matter of reorienting to the tuning. I liked the "zing" of the E string. 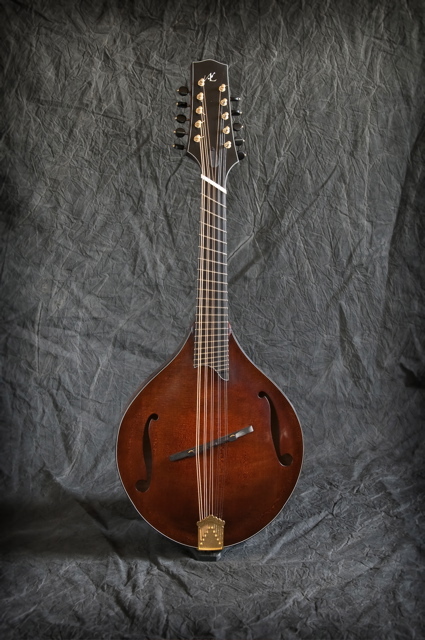 The voice is definitely slanted more toward the mandola end of things rather than mandolin, and that's a good thing for going for more "oomph" on the bottom. Here's mine, arrived a few weeks ago and it's killer!